ONE LOVE, ONE FAMILY ~ On The River Through The Eyes of a Father & Son. | DBP MAGAZINE ONLINE The World's Best Free Whitewater Publication. ONE LOVE, ONE FAMILY ~ On The River Through The Eyes of a Father & Son. 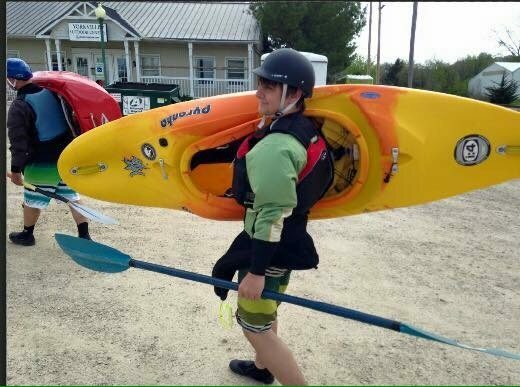 When I first started kayaking, I was 22 years old and in college. I wasn’t thinking anything about having a wife and kids. However, a bunch of years down the road, during the course of my biggest paddling adventure I met the woman who would become my wife. After a few years of courtship and a move back to the Midwest, things became more serious and kayaking was shelved. Family became the most important thing in my life and we had two beautiful children. For years I thought the whitewater plant was dead, but apparently it had dropped a hibernated seed. 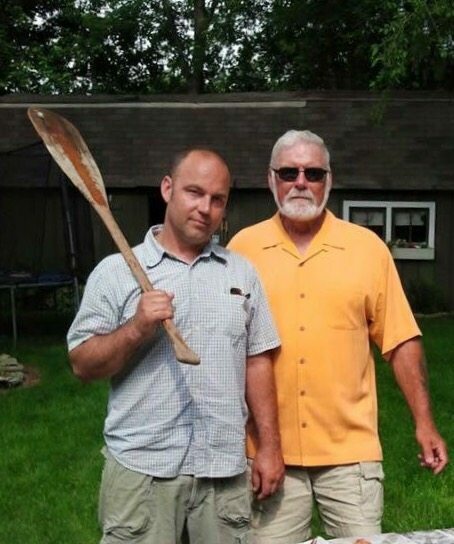 A Facebook reconnect, with my old paddling buddy Kenny is what exposed that torpid seed. I told him that I was looking into Lake Michigan surfing and talked about various hobbies and sports I’ve tried while raising my children in the flat lands. Unknowingly, I had been trying to fill the void of not whitewater kayaking for years and the only thing that came close was taking increasingly riskier chances during my high speed commutes into Chicago. Kenny watered the seed by encouraging me to look into the Chicago Whitewater Association. “They’re a huge club”, he said “you and Jake should check it out and then come on out to Moab so we can run some rivers again.” Before I knew it I was checking out the CWA website and formulating a plan. 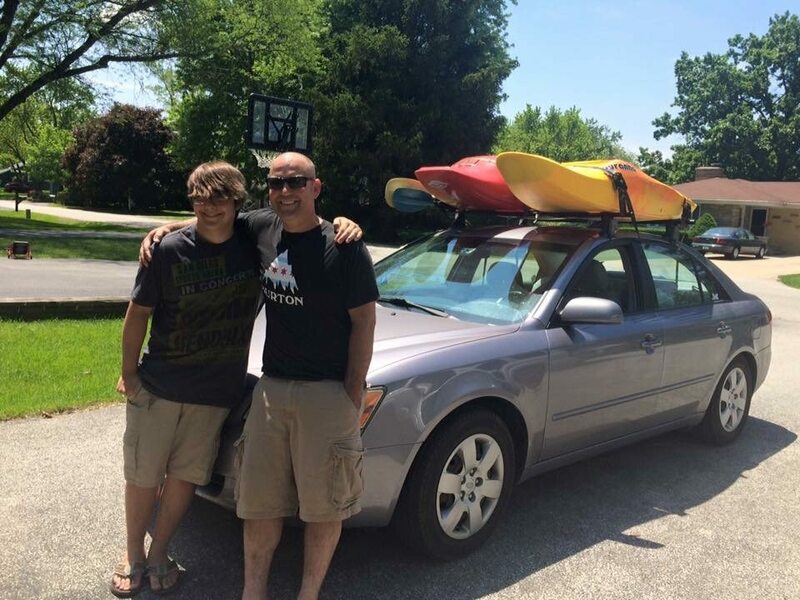 The plan was to convince my wife that getting our son Jake, who was 14 at the time, into kayaking was a good idea. I thought this might be a challenge because twenty years earlier while performing the human dating rituals, I thought it would be a good idea to bring a southern girl with exactly zero whitewater experience down Browns Canyon in a ducky. Browns Canyon is solid class III boating. I realized just how bad an idea this was when I was pulling her out after a nasty Wallace in the Toilet Bowl and she was barfing up Arkansas River water. Surprisingly she stayed with me, but alas! she was soured on whitewater forever. Anyway, after a bit of cajoling and numerous promises, I signed Jake and myself up for an intro to kayaking class with the CWA. I knew I had to play things smart and put my ego away. I had plenty of whitewater experience in my 20’s, but I wanted Jake to get some basic proper instruction. The classes went great and then we spent the rest of the winter getting his roll dialed in the pool. His first season went quite well. His pool roll developed into a solid combat roll, but not without becoming well acquainted with Wallace. He had a great knack for staying calm in all situations. Our trips that season were mostly spent hitting up rivers around the Midwest, but we capped things off with a couple of days in WNC and Ohiopyle. There was never any doubt about my love for kayaking, but enjoying the river and lifestyle with my son really took things to the next level. The time spent in the car developing a mutual enjoyment of podcasts, turning each other onto different music and just talking and getting to know each other better was the icing on the cake. Jake and I were going out there adventuring together and it was awesome. Season two kicked off with a road trip down to Tennessee for the Tellico and some Obed classics. Then came Cheat Fest where we hit the Laurel Fork and various other area treats. It was on this trip that we met and became friends with Curtis Warner, who then helped get my Father in on the action. You see Curtis oars a catboat and he has an extra seat for it. My love of the outdoors comes from my Pops. My family used to camp a lot when I was a kid and along with camping came the other usual activities of fishing, canoeing, etc. However since we lived in the Midwest, whitewater was not on the radar and my Dad had never tasted true river sweetness. Pops was invited on a road trip out to West Virginia to run the New River. I was quite excited to share my love of the river with my Dad and I wrote an article about that weekend called West By God Goodness for last year’s Rivers Issue of our Magazine. It’s a fairly entertaining read, so next time you’re killing time instead of watching cat videos check it out. We are planning on doing that same trip out to the New River again this summer and I couldn’t be happier about that. Watching my Father watch his grandson navigate difficult and somewhat intense whitewater is something that is hard to describe. It’s a look of surprise and pride all at the same time. I was getting hooked on the idea of infecting family members with the whitewater flu. I had been trying unsuccessfully to get my daughter, who is two years younger than Jake, to come to a pool session to give kayaking a try. It was time to try a new angle to get the girls in on the action. 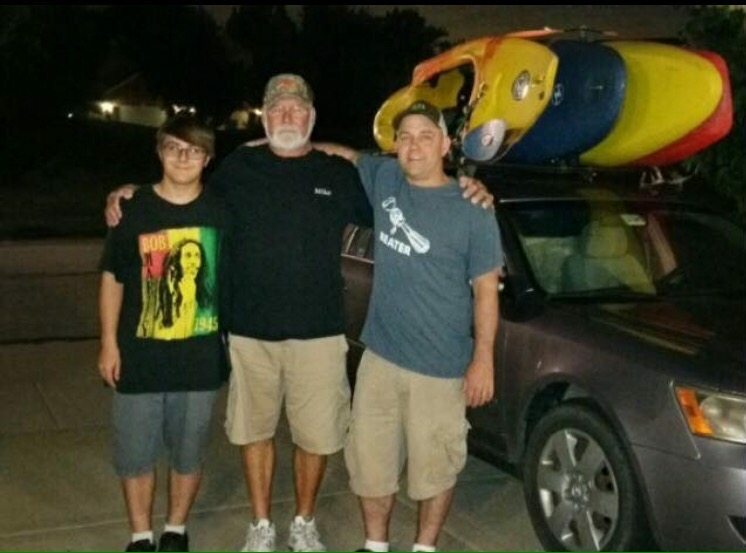 So, this past Summer we packed up the boats and camping gear and headed west. The plan was to tour around Colorado for a week and let me tell you it was glorious. We camped out during that huge meteor shower, cruised small mountain towns, and Jake and I paddled Browns Canyon. OK OK, I was young and made a mistake, a monster lapse in judgement that I’ve been trying to live down ever since. My girls didn’t paddle on that trip, but they seemed to embrace the dirtbag lifestyle, so it’s only a matter of time. Boating with with family is where it’s at, so if you haven’t tried it you should grab your kid, mother, father, sister or brother and hit the river. EDITOR’S DESK- Joe is a DBP Admin and Staff Writer for our Magazine. 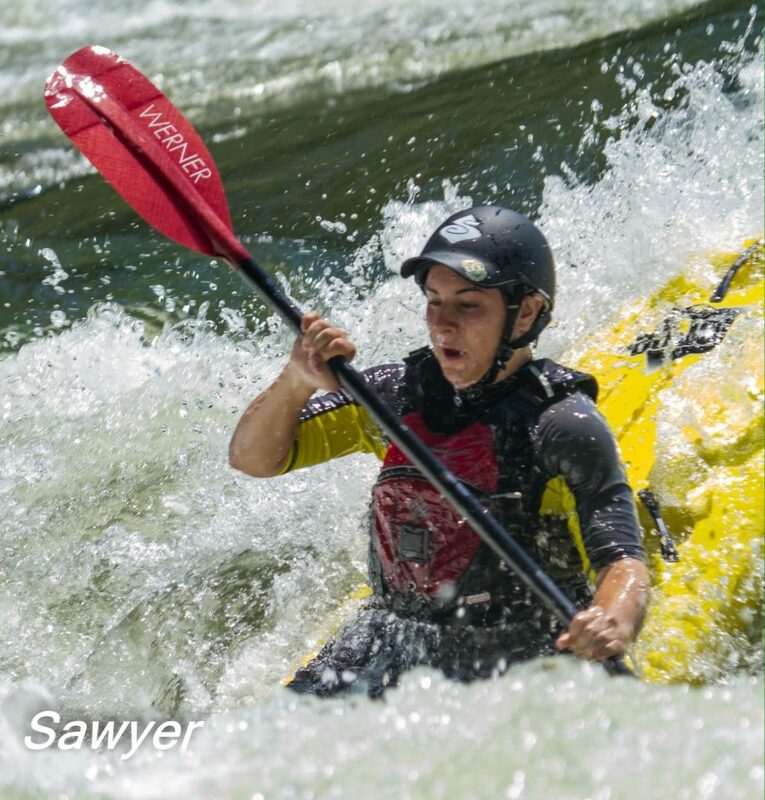 He has written about the Mayer Family trip down the New River (photos courtesy Mike Sawyer) and HIS first big Wallace, oddly enough in a rapid called Toilet Bowl in Gore Canyon. 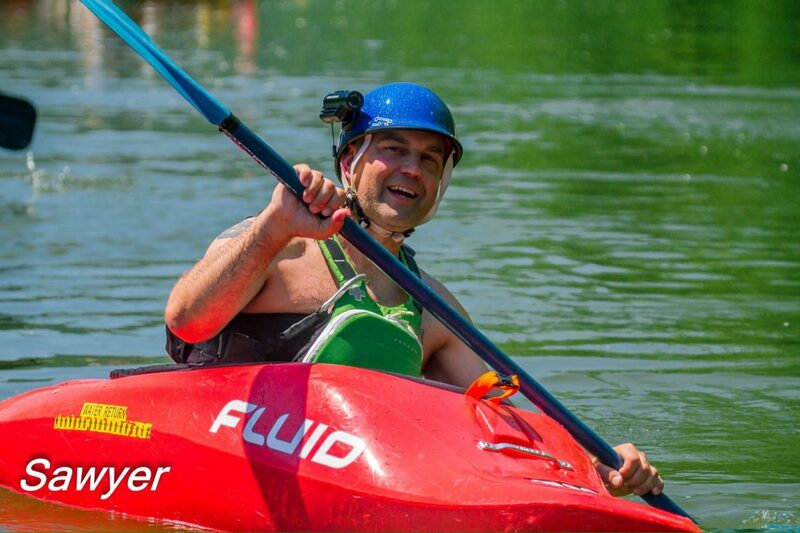 Come meet Joe and other members of the Staff at the National Paddling Film Festival in Frankfort, KY (details, along with MANY OTHER FESTS, RACES, AND SUCH AROUND THE WORLD! on our Events Calendar) and buy him a craft beer from the free kegs! Mixing family relationships with the raucous tendencies of the paddling community has been interesting since I was introduced to it by my father. Having to assure the Old Man that I’m fine after a bad Wallace, enduring a somewhat cramped tent, and many podcasts and conversations in the car trips; these are some things that I’ve grown used to and fond of when we anticipate another trip. Overall though, I’m asking myself what I can do on the next river to become a better paddler. Kayaking is one of the first hobbies I’ve had that truly makes me feel that inner competition; that need to figure out how to style a certain feature, stay upright in the squirelliest of water, and dominate as many rapids as possible with style. This makes a potent combination with the existential angst and frustration that teenage years bring, along with extended time spent with my father. Listening to his old stories about paddling and life, exchanging thoughts and views, and gaining new experiences together have been very good overall for both me and him. 2017 will be my third season paddling, and I always feel humbled when our friends talk about my skill, but I have to say that even I surprise myself sometimes. But that doesn’t mean there’s nothing to improve upon. This year’s resolution is to start working on waterfalls! The Pure Spirit of #DBFamily ~ Paul Eckel and the River Warrior Family.